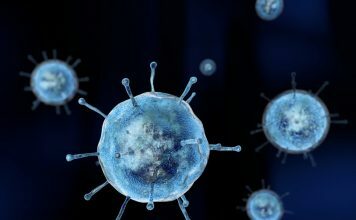 Ebola virus, Superbugs, Antimicrobial drug resistance, Sleeping sickness, Lung cancer, Prostate cancer, Diabetic nephropathy, Asthma, Rheumatoid arthritis. What have all of these diseases and health challenges in common? We’ve obtained compounds with the potential to be developed into treatments for all of them at the University of Strathclyde together with our academic and industrial partners. Some are very early stage but others have reached clinical trials. I’m Colin Suckling, now a Research Professor at the Department of Pure & Applied Chemistry at the University of Strathclyde where I’ve worked for the past 43 years! 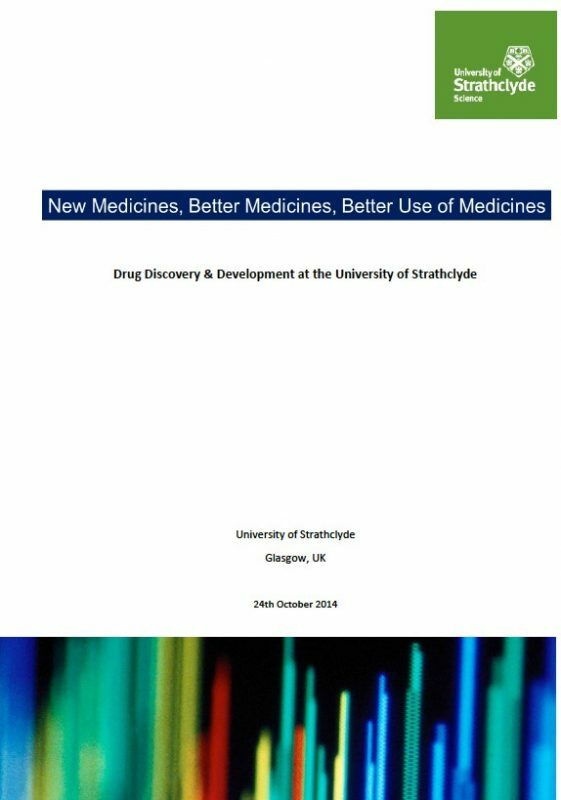 I’d like to introduce you to some of the important and exciting things going on in Drug Discovery and Heterocyclic Chemistry at Strathclyde through a collection of papers, presentations, and clips. You will instantly understand why Drug Discovery is important but Heterocyclic Chemistry may seem like an arcane academic challenge. If so have a look first at ‘It’s all around us – Heterocyclic Chemistry’. 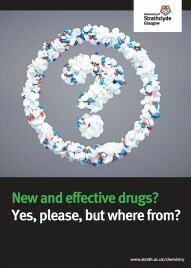 My university has made Drug Discovery one of its research priorities. You can read more about it in our brochure,which gives more information on our strategy and a few of our projects. What’s led to our success at Strathclyde? Some good decisions, some hard work and, of course, some good luck. But to make all of these things possible, we’ve adopted a novel unusual academic organisation by building flexible teams for each project. In most projects our teams are quite small, 4 or 5 people including researchers and the lead academics, but in a few, they can be more than double, for example our major project seeking a treatment for prostate cancer led by my colleague, Professor Simon Mackay. All of my major projects have external team members from other universities, especially our neighbours, the University of Glasgow, and from industry. We’re working, or have recently worked, with Astra Zeneca, Galvmed, CN Bio,, Chemovation, Almac, and Aptuit.. Our most extensive industrial partnership is with MGB Biopharma, a small Scottish-based company founded especially to develop our DNA minor groove binders. Click here to find out more. We have substantive academic collaborations across the world in Australia, India, South Africa, Switzerland, and the USA. The most striking success of the last year is the successful completion of a Phase 1 clinical trial of our lead antibacterial compound, MGB-BP-3, in an oral formulation for the treatment of Clostridium difficile infections in a trial sponsored by MGB Biopharma. There is an announcement on the MGB Biopharma website and the work attracted the interest of the BBC in a short feature The story of the discovery and development of MGB-BP-3 can be read in the linked document [Click here]. The successful clinical trial outcome greatly encourages the development of other compounds in our collection for which we have achieved proof of concept in animal models of disease or compelling in vitro cell-based results. 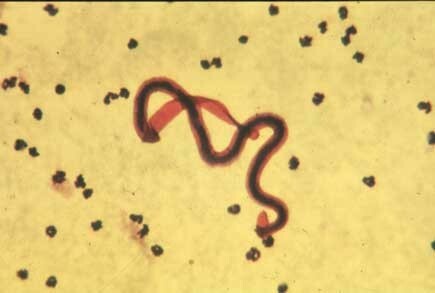 In the former group we have lead compounds to treat Animal African Trypanosomiasis, the cattle equivalent of sleeping sickness, and in the latter group compounds to tackle malaria and others with potential activity against lung cancer. The University of Strathclyde has a mission to promote useful learning for the good of mankind and our contributions in drug discovery and heterocyclic chemistry take that mission forward. As a University we’ve been recognised as a leading international technological university and most recently as the Times Higher Education UK Entrepreneurial University of the Year 2013/14 and as UK University of the year 2012/13. In the 2014 Research Evaluation outcomes, the University of Strathclyde stood out as one of the top 20 research intensive universities in the UK. My own Department, Pure and Applied Chemistry, has an exceptional range of fields of interest that are well illustrated in the Department’s website Follow this link to connect with information about work in other teams at the chemistry / biology interface at Strathclyde. When I used to preside at University Graduation ceremonies, in my address I encouraged graduates to see what they could make possible through their learning and skills. 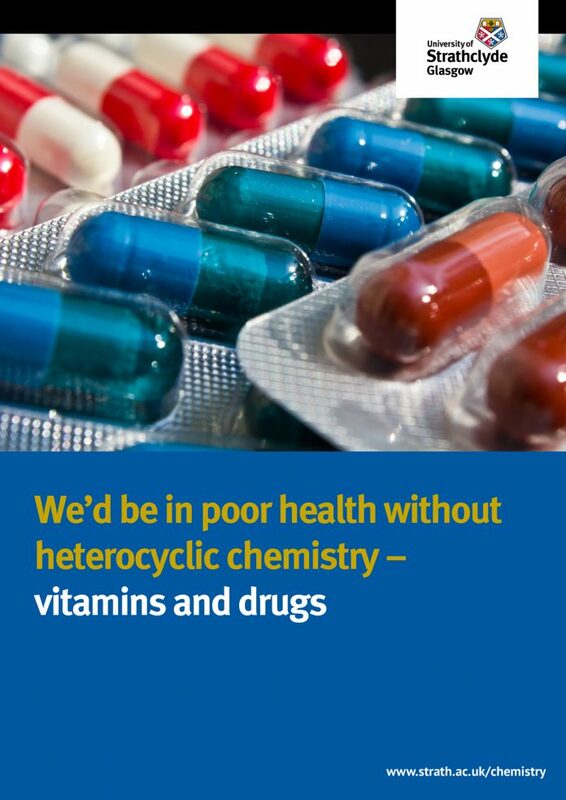 In our drug discovery work, it’s mostly heterocyclic chemistry that makes things possible. Heterocyclic chemistry is a vast field of chemistry with numerous important applications in drugs and medicines and in materials and electronics. Almost all my projects involve heterocyclic chemistry. Why heterocylic chemistry is important can be quickly understood from the short article ‘It’s all around us …’ here. Here are some links to special reports to which my colleagues at Strathclyde have contributed. Professor Sandy Gray talks about his fascination with heterocyclic compounds that come from plants and his expeditions into the rain forests around the world. Professor Simon Mackay explains what our biggest research team is doing to try to find treatments for prostate cancer, again using heterocyclic compounds. And new methods of diagnosis and visualisation will become increasingly important in health care provision bringing rapid diagnosis and treatment to the bedside with the aid of advanced technologies embedded in heterocyclic chemistry as my colleagues at the Centre for Molecular Nanometrology at Strathclyde have shown. An antibacterial compound. MGB-BP-3, successfully completes a Phase 1 clinical trial. This is a representation of one of our minor groove binders (MGBs) sitting in the minor groove of the DNA double helix. You can see how we believe the MGB can move along the minor groove to find its favoured binding site in this computer generated animation. We started working on MGBs some 15 years ago believing that they were very likely to be useful as drugs but also realising that there was a lot of inventive and interesting science to be done. We have activity demonstrated in 8 different fields namely antibacterial, anti-leishmaniasis, anti-trypanosomiasis (sleeping sickness in cattle), anticancer, antiviral, and antifungal compounds. Of these, as noted above, several are strong leads for new medicines. Our most advanced project is to treat Gram-positive antibacterial infections such as the superbugs MRSA and Clostridium difficile. The development work has been done by our partner company, MGB Biopharma and in 2015, our lead antibacterial compound, MGB-BP-3, successfully completed a Phase 1 clinical trial. You can follow history of our project leading to the clinical trial here; read the tree from the roots up to the branches. One of the challenges we had in developing this drug was formulation. Its physicochemical properties like solubility in water are by no means ideal. 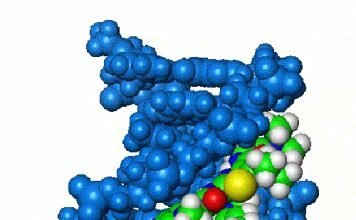 What happens is that two molecules of the drug stick tightly together, which probably makes them bind better to DNA but difficult to formulate. Click here to see a computer generated animation of two molecules coming together and staying together. For those with some chemical background, some further scientific information about the MGB project can be found in this extract from a non-confidential presentation. When I taught medicinal chemistry to undergraduates, I discussed diseases in two broad classes, namely infectious diseases, which is what MGBs treat, and diseases of imbalance, such as brain disorders or autoimmune diseases. Whilst not likely to be fatal in the short run, diseases of imbalance cause substantial suffering and prevent millions of people living active and productive lives. It’s good, therefore, that we have some development candidate drugs in our portfolio at Strathclyde. In our chemistry team, we call the project ‘The Worms Project’ because it is based upon a secretion of a parasitic worm that infects rodents, Acanthacheilonema viteae. This parasite avoids rejection by its host by damping down the host’s immune system through the action of a protein it secretes, known as ES-62. 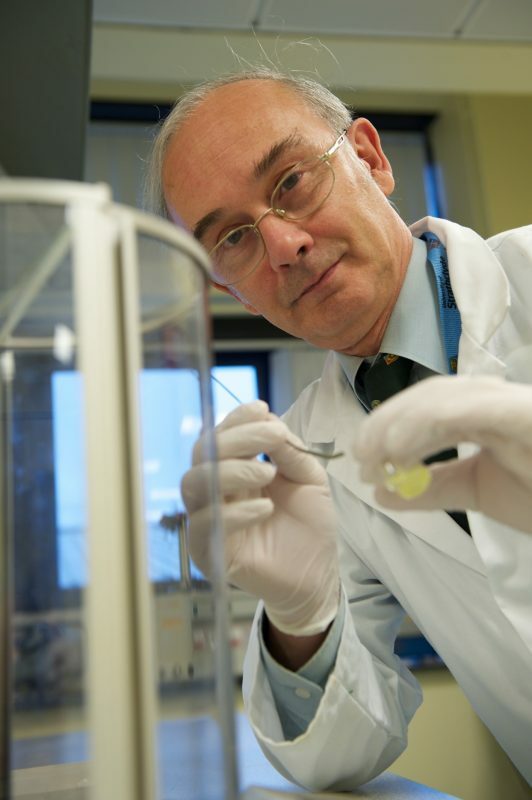 ES-62 is a discovery of my colleagues Professor Billy Harnett of the University of Strathclyde and Professor Maggie Harnett of the University of Glasgow and between us we have designed and created a collection of compounds with huge potential for the treatment of many diseases of imbalance. Strong evidence so far has been obtained for asthma, rheumatoid arthritis, and lupus erythromatosus. Now, working with collaborators across the world, we’re chasing down how our compounds actually work and seeking to develop them from laboratory discoveries to medicines to treat people in need. The problem we have is that most Pharma companies are reluctant to take on a new therapy for which the mechanism of action is not clearly established, the outstanding biological model results that we have obtained notwithstanding. At Strathclyde, we’re proud of our history and of our contribution to the modern world, of which drug discovery and heterocyclic chemistry are just examples. As inspiration we take one of chemical science’s greats of the 19th Century, Thomas Graham, the discoverer of the laws of diffusion and founder of the science behind dialysis, so important in technical and medical applications. Find out more about Thomas Graham, his life and times in this booklet and slide presentation. For a view of the 21st Century Department of Pure & Applied Chemistry, occupying the Thomas Graham Building in Glasgow, take a look at our short video. Porphyrin – is this the most versatile heterocyclic compound ever? 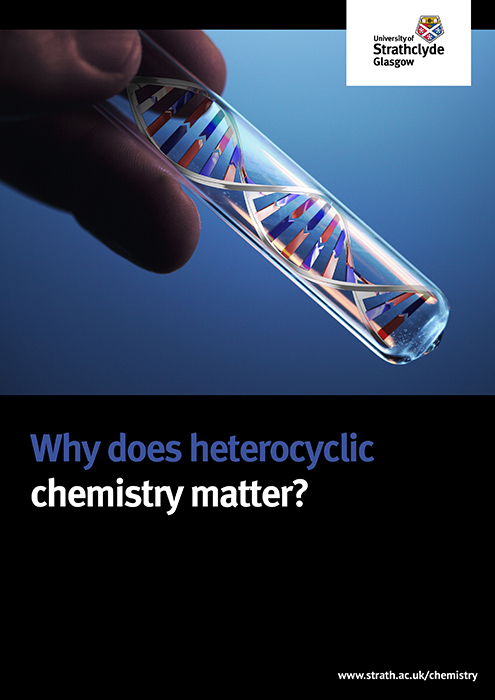 Why does Heterocyclic Chemistry matter? 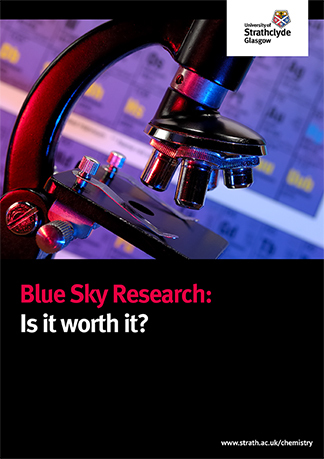 Blue sky research: Is it worth the investment? 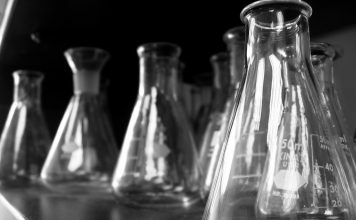 In his latest ebook, Professor Colin Suckling of the University of Strathclyde tackles the question: Is there any evidence that the cumulative output of research over the last 50 years has been valuable?